When Vasco da Gama landed in Calicut in 1498, he had made clear his agenda - 'Pepper and Christ', in that order. He had been commissioned by the his King to look for a secure and economical source for pepper, to break the monopoly of the Venetian middlemen and the Moorish traders. Then there was the Papal directive to look for the Christian kingdom in the East, ruled by the fabled Prester John. Gama was true to his word. 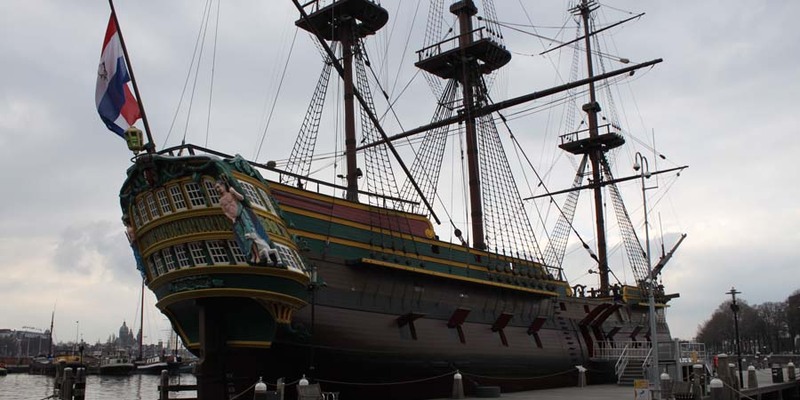 Despite the initial set backs, the Portuguese voyages made enormous profits from the trading of spices. The peaceful trading days of Arab merchants had ended for ever; in its place the Portuguese had sought to impose a monopoly backed up by gun power. A dispassionate observer like Voltaire stated that, after the year 1500 there was no pepper to be obtained in India that was "not dyed red with blood". As M N Pearson had recorded, around 1515, Portugal made about one million cruzados from the trade in spices, equal to all of its ecclesiastical revenues and double the value of its trade in gold and metals. The Jesuits who came with the Portuguese had their own agenda of proselytisation which they pursued, with force, where warranted. Interestingly, the Society of Jesus also traded in spices and it seems nearly 16 per cent of the Jesuits' annual income in the seventeenth century was derived from eastern spices! The British who stepped in as the rulers of Malabar after the defeat of Tipu Sultan also continued their colonial strategy of revenue farming which they had perfected in Bengal a few decades earlier. It was into this exploitative milieu that a new Mission with very different ideas made its entry. A heterogenous group of believers in the remote German-Swiss town of Basle were inspired by the Moravian Mission experiment of autonomous community living at Labrador, Canada and by the tenets of the Pietist Movement, and had established a society called Evangelical Missionary Society in 1816. The group included clergymen, businessmen and bankers. Their basic objective was to train evangelists. When the first three missionaries landed in Calicut on 14th October, 1834, they had no grandiose plans for establishing an industrial community. But in time, they not only introduced modern manufacturing into Calicut but also attempted - not very successfully- to introduce social transformation of the caste ridden Malabar society. How this Mission grew in time from its modest beginnings to an industrial complex, owning at its peak several factories in almost a dozen locations is the subject of a fascinating book authored by Jaiprakash Raghaviah. The book, 'Faith and Industrial Transformation', was released the other day in Calicut by Prof. M G S Narayanan, eminent historian and the President of Calicut Heritage Forum. The book is a scholarly work which sequentially deals with the origins of the Basel Mission, its arrival in Malabar and South Kanara, its successful experiments in converting indigenous crafts into organised industrial ventures and its attempts at social engineering. The study also makes an assessment of the Mission in other fields like health care, linguistics and education. Although the product of years of painstaking research - into original sources of the Mission records hitherto not accessed - the book reads like a breezy novel. It is indispensable reading for anyone who is interested in the history of Calicut during the 19th and 20th Centuries. Calicut was the favourite destination of Yemeni merchants even after the Europeans arrived. Traders from Hadramaut came in large numbers, attracted by the favourable climate for trade and the warm welcome accorded to them by the Zamorin. Barbosa has recorded in some detail the approach of the Zamorin to overseas traders: “the king gave each one (Moorish merchant) a Nair to guard and serve him, a Chetty scribe for his accountant and to take care of his property and a broker for his trade”. These Hadrami traders were followed by preachers who also settled down in Calicut. Abu Hasan was from Kaukaban in interior Yemen, not far away from Tarim. The story of how he reached Calicut is one of the 1001 stories of the Arabian Nights. 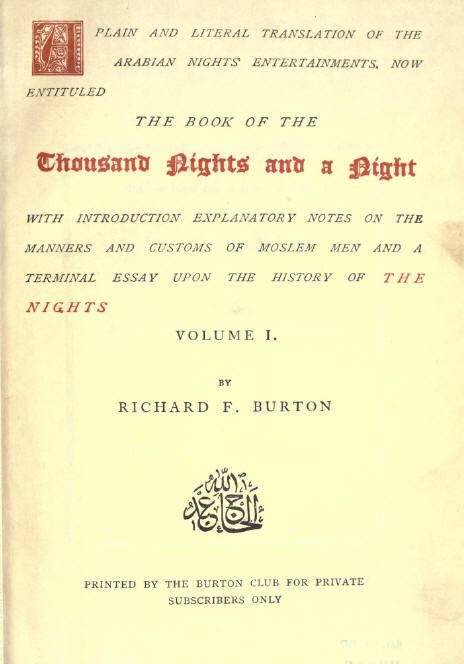 We follow the 1885 edition of ‘The Book of the Thousand Nights and a Night’, by Richard F Burton (Shammar Edition). This collection of (mostly bawdy) tales contains the story of ‘How Abu Hasan Brake Wind’. The hero, Abu Hasan belonged to the Fazli tribe in the city of Kaukaban in Yemen. He had left the Badawi life and had settled down in the town. He had become quite prosperous through trade. His wife had died young and his friends persuaded him to marry again. As was the practice, he approached the old women of his locality who procure matches. His marriage was solemnised with a beautiful young girl. It was the night of the wedding-banquet. It is best now to borrow from the extravagant description of the scene which only Burton can conjure up: The whole house was thrown open to feasting: there were rices of five several colours, and sherbets of as many more; and kids stuffed with walnuts and almonds and pistachios and a camel-colt roasted whole. So they ate and drank and made mirth and merriment; and the bride was displayed in her seven dresses and one more, to the women, who could not take their eyes off her. At last, the bridegroom was summoned to the chamber where she sat enthroned; and he rose slowly and with dignity from his divan; but in so doing, for that he was over full of meat and drink, lo and behold! he let fly a fart, great and terrible.Thereupon each guest turned to his neighbour and talked aloud and made as though he had heard nothing, fearing for his life. But a consuming fire was lit in Abu Hasan’s heart; so he pretended a call of nature; and , in lieu of seeking the bride-chamber, he went down to the house-court and saddled his mare and rode off, weeping bitterly through the shadow of the night. Burton thought it appropriate here to explain the ‘fearing for his life’ in the above description. Why should anyone who heard the loud report pretend as though he had heard nothing? Burton finds it ‘curious and ethnologically valuable’. For, according to him, the Badawi who eructates as a civility, has a mortal hatred of crepitus ventris; and were a by-stander to laugh at its accidental occurrence, he would at once be cut down as a “pundonor”. Getting back to Abu Hasan: In time he reached Lahej where he found a ship ready to sail for India; so he shipped on board and made Calicut of Malabar. Here he met with many Arabs, especially Hazramis, who recommended him to the King; and this King (who was a Kafir) trusted him and advanced him to the captainship of his body-guard. He remained ten years in all solace and delight of life; at the end of which he was seized with home-sickness;…. Fixing the date of the Arabian Nights is problematic. Scholars observe that the origins of this wondrous collection could be traced to Indian and later Persian collections. During the 900 odd years that the stories of Arabian Nights have grown, a large number of additions and interpolations got included. Jim Dawson, the author of ‘Who Cut the Cheese? - A Cultural History of the Fart (Ten Speed Press, 1999) similarly observes: “Some scholars even claim that “How Abu Hasan Brake Wind’ didn’t exist in the original Arabic book, but rather was fabricated by Richard Burton himself”. While doing so, Burton appeared to have included his local knowledge. For instance, he had visited Calicut in 1848 and had heard the stories about the Zamorin’s cosmopolitan governance and the Hadrami presence. The Hadrami Sufi migration to Calicut ( they followed the trading community) is quite recent. The Jifri family of Thirurangadi were the first documented migration and this was around the 1740s, hardly 100 years before Burton himself visited Calicut. (Please see our blog post http://blog.calicutheritage.com/2009/02/kamasutra-translator-in-zamorins-mankav.html). The most interesting twist in Burton’s story is the reference to Calicut - in other versions of the story, Abu Hasan was stated to have boarded the ship to the Indies. In our preoccupation with Burton, we seem to have forgotten the climax of the story. A home-sick Hasan returns home after ten long years spent in Calicut. On landing in Makalla of Hazramaut, Abu Hasan dons the rags of a religious man and proceeds to his native place of Kaukaban. He was obviously not recognised by the villagers, but yet he kept listening to chance conversations to make sure that every one had forgotten about his disgrace ten years ago. Let Burton complete the story: Allah grant that my case be not remembered by them! He listened carefully for seven nights and seven days, till it so chanced that, as he was sitting at the door of a hut, he heard the voice of a young girl saying,”O my mother, tell me the day when I was born; for such an one of my companions is about to take an omen for me”. And the mother answered, “thou was born, O my daughter, on the very night when Abu Hasan farted’.! Mortified, Abu Hasan, returns to India forever. But, Nila School? This was the topic of a stimulating lecture by Dr. N K Sundareswaran, Professor, Department of Sanskrit, Calicut University. Hailing from Palakkad, he was initiated into Sanskrit and Yajurveda by his father in the traditional manner. Later he graduated in Mathematics and obtained his Master’s and Doctorate in Sanskrit from Calicut University. He has been teaching and guiding research for more than a quarter of a century. His doctoral thesis is on Nilakantha Somayaji’s contributions to astronomy. He took us through the main dramatis personae of the Nila School, which in effect, comprised all the above worthies, excluding Madhava of Sangramagramam. How did this happen? A lone genius from Irinjalakkuda and all his disciples and successors from a remote group of villages more than 50 kms. north of the place? We know about Madhava (c.1340-c1425) mostly from the work of later mathematicians. Traditionally, he was believed to have been an Embranthiri ( a Tuluva Brahmin) from Aloor, near Irinjalakkuda in Trissur district. Most earlier writers had given a convoluted interpretation of the name ‘Sangramagramam’ to mean Irinjalakkuda/Koodalmanikyam. But, Prof. Sundareswaran, following Prof. P P Divakaran (formerly of Tata Institute of Fundamental Research) would prefer to interpret Sangamagramam to mean Kootallur, a village close to Ponnani. The literal translation of Sangamagramam is Kootallur. Also, the village and more particularly, the Namboodiri Illam ( Kutalloor Mana) has a long tradition of learning even to the present century. It is situated at the confluence of the rivers Nila and Tootha, which suggest the name Kootallur, a village at the confluence. Vatasseri Parameswara ( c.1380-1460) hailed from Alathiyur, near Tirur and was the direct disciple of Madhava. He was an astrologer as well and suggested improvements to the findings of Aryabhata, Bhaskara, Govindasvami and others through his copious commentaries. He was also known as the father of the Drig ganita system which is a system of astronomical computations considered more accurate that the then existing Parahita system. His contribution was in proving theories through observation. Damodara was the son and pupil of Parameswara and was also a notable mathematician and astronomer. Nilakantha Somayaji ( 1444-1520?) was Damodara’s disciple. Born in Kelalloor mana in Trikkandiyur, Nilakantha was closely associated with the Sree Rama Temple in Alathiyur, (which is more famous for its upa devata, Hanuman. Nilakantha’s major work was the Tantrasangraha written in 1500 which was principally an astronomical treatise. His theories are, however, without proofs or explanations of the logic. For this, we have to turn to his disciple, Jyesthadeva. Jyesthadeva (c1500-c1575), the disciple of both Damodara and Nilakantha was the next great mathematician. He was also from Tripparangodu, another nearby temple-village. His biggest contribution was the Yuktibhasha, written in Malayalam. It offers detailed analytical commentary on Nilakantha’s Tantrasangraha. His contribution was in providing the process and the derivations for arriving at many of his guru’s theorems. Sankara Varier, who was a contemporary of Jyeshtadeva, was the sole non-Brahmin mathematician whose works included Yuktideepika and Kriyakarmakari. The question came up – did this knowledge travel from Kerala to the West, or were the scholarships parallel and unconnected?. Calicut Heritage Forum had the privilege of hosting, a few years ago, Dr. George Gheverghese Joseph of Manchester University who was posed the same question. His reply was equivocal, to put it rather bluntly. But his own writing about there being plenty of opportunities for the Jesuits, who swarmed the area in the sixteenth century, to carry the new knowledge to the West, betrays his views. According to him, there was a strong motivation for this transmission: Pope Gregory XIII had set up a committee to look into modernising the Julian calendar. The German Jesuit, Clavius was on this committee and he had been repeatedly requesting his brethren spread over the world for information on how people constructed calendars in other parts of the world. The Jesuits who were in numbers in Vettathu kingdom ( they had even managed to convert the Vettath King to Christianity, and Antonio Gomez who replaced Francis Xavier in India was a frequent visitor to Tanur) could hardly have missed the opportunity to pick up the astronomically accurate calculations made popular by the Nila school of mathematicians. Prof. Sundareswaran, however, preferred not to comment on this. Instead, he focused on how knowledge was being transmitted from generation to generation in an unbroken chain of succession. His concluding statement - that only around 7 per cent of this fund of knowledge had been deciphered, the rest waiting in numerous cadjan leaf manuscripts to be unravelled - reminded one of the poet A K Ramanujam's perceptive observation : Even one's own tradition is not one's birthright; it has to be earned, repossessed. We had occasion to mention about this house in Chalappuram in connection with various incidents in the history of freedom struggle, in which Chalappuram was in the forefront. In fact, ‘Chalappuram Congress Committee’ was even better known than KPCC. The house was the hotbed of all defiance and protest, conspiracy and sabotage. A scion of the family Ms. Manjula had commented on her own remembrances of staying in the house as a child. This post is to stimulate such people to share their memories of anecdotes and experiences connected with the house, to help us build the story further. Our reference to this house was in connection with the Bomb Case of 1942. But the house has a richer past. It was built in the 19th century by Bambalassery Kammaran Nair, (who was a sub judge under the British Indian Government) for his wife Lakshmikutty Amma. Raghava Kurup who had been mentioned in our earlier post was the grand son of Kammaran Nair and the son of Narayani Amma. The bombs manufactured under the able technical assistance of Dr. K B Menon, were hidden in a cupboard underneath the clothes in this house. The Police could not detect it, despite conducting a thorough search. Apparently, when the Police left, Raghava Kurup’s brother Sankunny Kurup carried the explosive stuff and dumped it the the Tali temple tank nearby! Mahatma Gandhi had visited this house in 1927 when he was on a tour of Kerala to propagate khadi. A young and dashing Nehru had also come here and addressed the women volunteers of Balika Bharata Sangham, which functioned from Verkot. “I still remember listening to him in sheer admiration”, recalled Swarnakumari Menon, one of the young volunteers. Nehru also apparently carried pleasant memories of that meeting, for when he came to Calicut in 1956, he remembered his previous visit and insisted on dropping by at Verkot House. The house was a prominent launch pad for freedom fighters (and young girl students, too, who followed the example of their male elders, as the following long extract would testify). The following extracts are being reproduced from a paper on women and freedom struggle in Malabar authored by Dr. T K Anandi and available here. The Verkot House, Tali was the centre of action for women of Calicut. Protesting against the cruel treatment of the satyagrahis of Bombay, women gathered at Verkot house and planned a procession in the morning in the Calicut city. But by then, the District Magistrate gave notices under section 144 Cr. P., by which no procession or meetings were allowed, to Mrs. AV.Kuttimalu Amma, Miss. M. Karthyayani Amma, Mrs. K. Madhavan nair, Miss. K.E. Sarada, Smt. T. Narayani amma, Smt. P.G. Narayani Amma, Miss. E. Narayanikutty Amma, Mrs.T.V. Sundara Iyer and Mrs. Gracy Aaron and two or three men . But early in the morning they gathered in the Verkot house and conducted the procession, singing songs dressed in spotless khadi . Mrs. Narayani Amma and her elderly mother and other elderly women were present blessed the young girls to defy the law and court arrest. remained stiff. Full-throated and spirited shouts of jais reverberated in the air. Orders were then given to the police for the arrest of the women. The arrested women were M. Karthyayani amma, Smt. E. Narayanikutty Amma, Mrs. Gracy Aron, Smt. Kunhikkavu amma, Smt. T. Ammukutty Amma, and the school girl Jayalakshmi and among the thunderous cries among the thousands assembled to witness the scene. On reaching the jail Jayalakshmi was let off since she was minor. This was the first time that women courted arrest in Kerala in the cause of freedom movement. There was a Brahmin girl called Jayalakshmi. Her father was very active in Congress. See, all of us had somebody active in politics from the tarawad or house. That was the passport for us to enter. We were together. We had a Balika Bharatha Sangham. Jaya lakshmi was very active in it. We were all girls aged 10-14 years. There was a programme called “Prabhatha Bheri” Early morning we used to walk through the streets taking a flag in hand and go in procession singing songs. We were some ten to fifteen girls. We sing Pora..Pora naalil naalil ….. and Jhanda Oonja Rahe hamara……. etc. and walk through the road in the early morning. Each day we were given some specific area. Say for example, Chalapuram. We cover all the streets of Chalappuram till afternoon. We also work for the “Harijan” fund. Carrying a small box in hand we collect money. People accepted all these very well. My father was arrested then. All people were with us. There was no other leader other than Gandhiji. No violence or terror at all. What we wanted was only freedom. That was the first and the only demand. As students our work was basically through the Balika Bharath Sangham. In fact, Indira Priyadarshini started this at Delhi. It was in 1930. Apart from students women also participated in abundance. Kunjikkavamma, Lakshmikutty amma etc. were the leaders here. There was a house which was a centre for this activity known as Verkot House. There was one Narayanai Amma who used to fix the route and direct us. We all meet here in the morning, and the flag and route etc. will be read. We collect the songs and flag and leave. By afternoon, we meet again at this house and disperse off. Jayalakshmi and her sister Kamalam also used to be with us throughout. Other than Verkot Narayani Amma, there was Kunjikkavamma, Mrs. Prabhu, Lakshmikuttyamma, etc. who were all very active and keen on getting freedom. Mrs. Prabhu has stayed with us. There used to be review at night regarding the Prabhathabheri. There are days when we sit throughout night discuss and write what happened during the day. We give one copy to the press in the morning. A sincere Bala Bharath Sangh-activist comes and takes the writings from our hand and distributes to houses. But one day a van came and arrested all of us. They did not say anything. But took all of us; but left us within minutes. We followed non-violence throughout. There was no shouting, beatings, killing. There was absolutely no violence. The author points out that during 1931, at Verkot House, a Sangh was formed, with Mrs. Margaret Pavamani, as the President, Smt. Kunhikkavu Amma, as Vice president, Smt. A.V. Kuttimalu Amma as Treasurer and Smt. P.M. Kamalavathi and Smt. K. Kunhilakshmi Amma as Secretaries. Thus, this house at the southern edge of Samooham Road, (which connects Tali with Chalappuram), was the headquarters of not only Congressmen and extremist rebels, but of the women’s movement in Calicut. Indeed, a House with a Story! We deeply regret to inform about the sad demise of one of the pillars of Calicut Heritage Forum, Mr. Premnath T Murkoth. 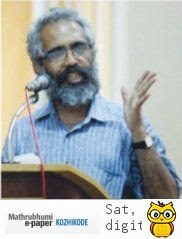 He passed away quietly in the night of 6th-7th July in his residence at Calicut. He was 79. Calicut Heritage Forum owes a great deal to the support and encouragement of Mr. Premnath. Our website, the digital library and our efforts to stop vandalism against heritage monuments by land sharks through successive court cases - all these and more would not have been accomplished but for his solid support. When we were short of resources, it was he who persuaded us to approach many corporates with whom he was familiar due to his long stint as a senior executive with Unilever and other companies. 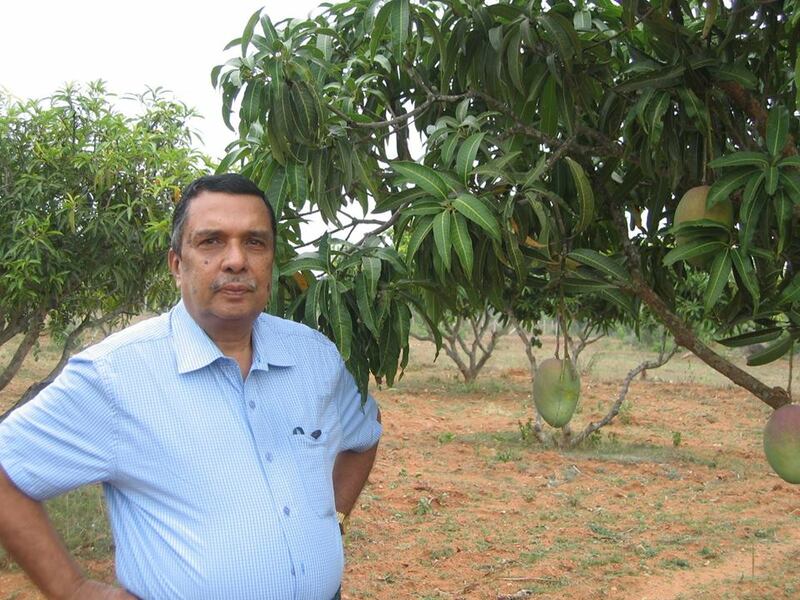 He placed our case before Mr. R.K Krishna Kumar which led to a grant from Tata Coffee. This financed most of our initial expenses. Mr. Premnath was a gentleman to the core, uncompromising on his values, but endowed with a natural flair for putting across his views in an amiable manner. He did not project himself, always choosing to be in the background. His knowledge of Malabar's heritage, particularly that of Tellicherry was unrivalled. It is a pity that much of it could not be documented. He wanted to create a similar forum for Tellicherry, but our approach to the local administration was not very fruitful. Despite the brief illness which restricted his movements during his last days, he was active and alert till the end. In fact, we received his last Whatsapp forward just a day before his passing - it was a joke on the Kerala political scene! That was quintessential Premnath - looking out for humour in everyday life and sharing it with people around him. Thank you and good bye, Mr. Premnath ... and Rest in Peace! 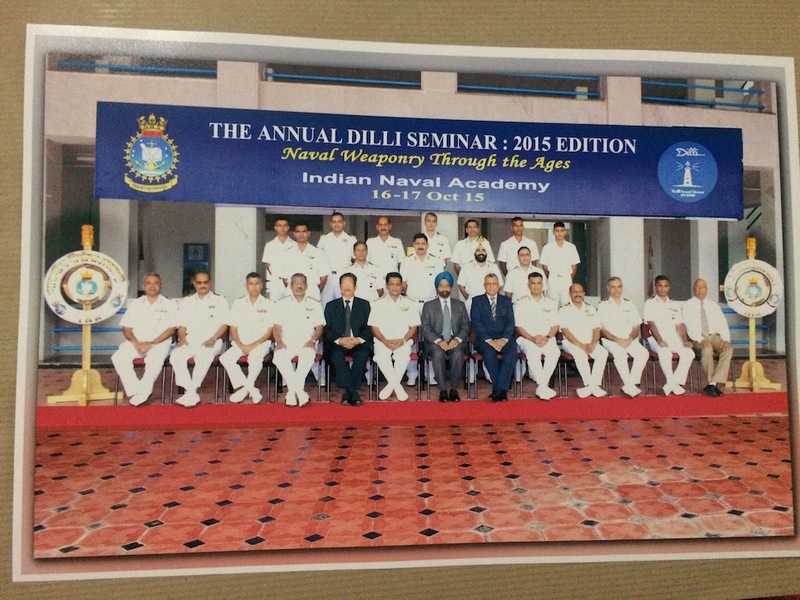 Dr. Noone's paper dealt with the historic Battle of Calicut 1503 which, according to him, was the first battle where ships were used to target the rivals, rather than as a means of transporting warriors. In naval history it is the first recorded sea battle fought to a prearranged pattern as a stand-off artillery action by squadrons sailing in close-hauled line ahead. It was fought between Vasco da Gama and an Indo-Arab fleet of Zamorin of Calicut. 'The Last Crusade', as described by Nigel Cliff in his book of that title. The Treaty of Tordesillas of 1494 had given Portugal the rights to all lands to the east of the line passing roughly between the Cape Verde Islands and West Indies which Columbus had already discovered. This had the blessings of the Papal envoy who was present at the signing. Thus, the world had been divided between Spain and Portugal and it was the religious duty of Portugal to`usher in a new global age of Christianity'. In contrast, the second voyage of da Gama which sailed out of Lisbon on February 10, 1502 was designed to instil terror with a fleet of twenty ships, financed and manned by English, French, German, Genoese, Venetian, Spanish, Flemish and Florentine crew. The instructions were very clear : apart from shoring up Portuguese factories, force more African and Indian cities to agree to trade monopolies, it was 'deal with the truculent Zamorin of Calicut'. The strongly armed sub fleet of Vincente Sodre was to stay behind and escalate the war against Islam. Thus, the battle of Calicut was the first battle which displayed the superior strategy and fire power of the European for which the Indo-Arab defence was no match.